FCW Daily for Monday, August 7, 2017 – Compliments of 1105 Government Information Group. Military.com: Top VSO Gets First Female Commander. One hundred years after the first women were permitted to officially join the U.S. military, a woman has been elected to head a top U.S. veterans' service organization. Retired Army Reserve First Sgt. Delphine Metcalf-Foster was elected Aug. 1 as national commander of the Disabled American Veterans (DAV) at the organization's annual convention in New Orleans. Military Times: Gulf War Vet Becomes First Woman in 25 Years To Lead A Major Veterans Organization. Nine years ago, when Army veteran Delphine Metcalf-Foster went to her local Veterans Affairs hospital for a knee replacement, she asked her doctors if they would use a female-specific prosthesis. They said they never considered getting any. “I realized then there needed to be more education,” she said. Defense News Defining the Military Agenda. Join us Sept. 6, 2017, at the Ritz-Carlton in Pentagon City. The theme of this year’s conference is "Defining the Military Agenda." Registration is currently open. Reserve your seat today. Washington Post Under Trump, gains against ISIS have ‘dramatically accelerated’. Nearly a third of territory reclaimed from the Islamic State in Iraq and Syria since 2014 has been won in the past six months, due to new policies adopted by the Trump administration, a senior State Department official said Friday. Agence France-Presse Philippine military needs 20,000 more troops due to greater threats, Duterte says. Philippine President Rodrigo Duterte has asked lawmakers to approve the recruiting of 20,000 more soldiers to tackle increased security threats following a bloody urban siege in the south, his spokesman said on Sunday (Aug 6). Newsweek Russia, not the U.S., is now calling the shots in the Middle East. Russia's deputy foreign minister met Wednesday with leading diplomats from Iran and Iraq to discuss combating Islamist extremist groups and the future of Syria. South China Morning Post China’s first home-grown aircraft carrier could join the navy ahead of schedule. China’s first home-grown aircraft carrier, the Type 001A, is likely to join the navy of the People’s Liberation Army by late next year, earlier than scheduled, analysts said. Japan Times Tokyo asks Washington to halt Osprey flights in Japan after crash off Australia. Tokyo on Sunday asked Washington to halt Osprey flights in Japan after the U.S. Navy and Marine Corps called off search and rescue operations for three marines who disappeared after an MV-22 crashed off Australia’s east coast a day earlier. Japan Times Top U.S. general to discuss increased security cooperation with Japan, China and South Korea. Gen. Joseph Dunford, chairman of the U.S. Joint Chiefs of Staff, will visit Japan, China and South Korea in mid-August, U.S. government sources said on Friday. Associated Press Military scrambles for transgender policy after Trump tweets. President Donald Trump’s tweets declaring transgender people unwelcome in the armed forces have plunged the Pentagon into a legal and moral quagmire, sparking a flurry of meetings to devise a new policy that could lead to hundreds of service members being discharged. Army Times Fundraiser for pregnant wife of soldier killed in Afghanistan nets $12,000 in four hours. An online fundraiser for one of two soldiers killed in a suicide attack on Wednesday while deployed to Afghanistan is rapidly gaining traction. Associated Press Bodies of 2 paratroopers killed in Afghanistan return to US. The bodies of two soldiers killed by a car bomb in Afghanistan have been returned. Supporters raised tens of thousands of dollars for their families. Associated Press West Point cadet from Virginia breaks ground as 1st captain. An African-American woman will take the top position in West Point’s cadet chain of command for the first time in the academy’s history. Associated Press Search called off for 3 US Marines who crashed off Australia. U.S. military officials called off a search and rescue operation on Sunday for three U.S. Marines who were missing after their Osprey aircraft crashed into the sea off the east coast of Australia while trying to land. UPI Marine Corps to field new pack frames in 2018. The Marine Corps will begin fielding a reinforced pack frame for their standard rucksacks as early as 2018 after reports of the current issue FILBE frames becoming brittle and snapping in cold weather. Navy Times Navy’s stealthy Combatant Craft Assault boats operating in Middle Eastern waters. U.S. special operations is reportedly using the Navy’s stealthy Combatant Craft Assault boats in Middle Eastern waters, reports The Drive. Navy Times Navy identifies missing Stethem sailor. The Navy has identified a destroyer Stethem sailor who has been missing since Tuesday and presumed overboard. Air Force Times Air Force wants 800 NCOs to retrain into undermanned jobs. The Air Force hopes to have 800 staff, technical and master sergeants retrain into 61 crucial, undermanned jobs, according to a list released Thursday by the Air Force Personnel Center. Defense News Air Force buys Boeing 747s for next Air Force One, but cost savings unknown. The commander in chief is one step closer to stomping in his Air Force Ones after the Air Force on Friday awarded Boeing a contract for the two 747s that will be converted into presidential airlifters. Task & Purpose 15 Reasons The Coast Guard Is Completely Underrated. On August 4, 1790, President George Washington okayed the creation of a Revenue Cutter Service to collect tariffs from U.S.-bound ships. Two-hundred and twenty-seven years later — after absorbing the Lifesaving Service and the Lighthouse Service — the U.S. Coast Guard is alive and well, charged with preserving life and property on the water… along with drug interdiction, counterterror, ice operations, these Huggies, and whatever cash you got. Austin American-Statesman: Commentary: Military is about combat readiness, not social justice. The authors claim that “the Pentagon spends five times as much on Viagra as providing health care to transgender troops.” While likely true, it should be noted that over 90 percent of the erectile dysfunction meds prescribed are for aging military retirees and aging veterans accessing VA health care. The Tennessean (USA Today Network, Video): New Poll Results Fuel Fresh Debate Around Future of VA’s Choice Program. A new poll shows veterans overwhelmingly support reforms to the VA's coveted health care program, but others say it's another attempt to advance efforts to privatize the VA, further fueling the brewing debate around the program itself. Politico: Trump and VA unveil telehealth initiative. In an event at the Roosevelt Room Thursday, President Trump and VA Secretary David Shulkin promoted several new telehealth initiatives in the department: — Big new reg: The most surprising for longtime readers is a new regulation allowing doctors to treat patients anywhere in the VA through telemedicine, regardless of location or state licensing laws. Shulkin called it "Anywhere to Anywhere VA Health Care." Health Data Management: VA to expand telehealth services for Veterans Nationwide. The Department of Veterans Affairs is dramatically expanding its current telehealth capabilities to meet the growing needs of its patient population, particularly in the area of mental health services as well as rural and underserved parts of the United States. NPR (Morning Edition, Audio): Whistleblowers Come Forward Over problems At New Hampshire VA Hospital. A dozen whistleblowers at the Manchester, N.H., VA hospital have exposed inadequate patient care and incompetence, leading to staff dismissals and an investigation. ABC News (AP): VA announces new spending, leadership for Manchester center. The nation's top veterans affairs official promised Friday to bring fresh leadership and additional funding to the embattled Manchester Veterans Administration Medical Center so sick and wounded service members can get the care they deserve. The Boston Globe: VA Secretary ousts third admin at troubles NH Veterans’ hospital. Hours after arriving at New Hampshire’s only hospital for veterans for his first visit, Secretary of Veterans Affairs David Shulkin on Friday announced that he was removing the head of nursing services, the third leader of the troubled Manchester VA Medical Center he has ousted in three weeks. New Hampshire Public Radio: VA Sec Shulkin Removes Another Official, Promises Funds for Manchester VA. Department of Veterans Affairs Secretary David Shulkin has removed a third top official from the Manchester VA. Secretary Shulkin has removed Carol Williams, the medical center's director of nursing and patient care services. It's a move doctors who blew the whistle on problems with the Manchester VA had been calling for. WMUR (ABC-9, Video): Local Veterans react to visit by VA Secretary to Manchester, Pledged $30 million investment in facility. On a tour of the V.A. Medical Center in Manchester Friday, V.A. Secretary David Shulkin promised millions of dollars to help revamp the facility and improve care. Local veterans said they're hopeful the promised reforms are for real. After whistleblowers highlighted problems at the V.A. Medical Center in Manchester they've received the full attention of the Department of Veterans Affairs. Billings Gazette: Grateful for VA health care. In response to the negative concerns of the VA health care system, consider this: I am a navy veteran of the Vietnam War ending 43 years ago. My health conditions are not service-connected, and I am low-income. Ten years ago, unable to walk without pain, the VA’s vascular surgeon in Ft. Harrison performed a femoral bypass, along with follow-up care and a redirection, done locally at St. V, all at no cost to me. Stars and Stripes: VA whistleblower gets job in Trump’s new accountability office. Two years ago, Brandon Coleman was placed on paid leave from his job with the Department of Veterans Affairs as an addiction therapist after he reported poor care for mental-health patients at the Phoenix VA hospital — the epicenter of the agency’s wait-time scandal. The Arizona Republic: Phoenix VA whistleblower assigned to new national accountability office. A Department of Veterans Affairs employee who helped expose a breakdown in veterans' care in Phoenix says he's been assigned to the agency's new Office of Accountability and Whistleblower Protection. "I don't have a job title yet," said Brandon Coleman, a Marine Corps veteran and former addiction therapist. The Boston Globe: After family outcry, sick Vet gets room at VA hospital. A sick Navy veteran in desperate need of specialized care in Boston spent days in limbo in a hospital in Bangor, his family says, after the US Department of Veteran Affairs said it would only cover treatment at the medical center in West Roxbury — but that he could not go there, because no bed was available. Military.com (McClatchy): Court Deals Major Blow to Veterans Suing Over Burn Pits. A federal judge has dismissed a major lawsuit against a defense contractor by veterans and their family members, over burn pit operations in Iraq and Afghanistan that plaintiffs said caused them chronic and sometimes deadly respiratory diseases and cancer. The News-Review: Home-like residential facility opens doors to Veterans with PSD, substance abuse disorders. No one knows better than Vietnam veteran Jim Gilbert of Roseburg just how important the new residential treatment facility for post-traumatic stress and substance abuse disorders at the Roseburg Veterans Affairs Medical Center will be to his fellow veterans. "It's a fantastic facility," he said. "The services they are making available to veterans today are giving people hope for life." WND: Chuck Norris Covers Astonishing Results of New Therapy, Highlights exciting potential of low-risk treatment. By now you may be familiar with the story of Eden Carlson, the two-year-old who was found last year face down in the family swimming pool, barely clinging to life. Rushed to Arkansas Children’s Hospital, she spent nearly two hours without a heartbeat and it would take constant CPR at both the house and the emergency room to get a return of circulation. The Huffington Post: Support for Women Veterans: How Long Has This Been Going On? Back in the Way Back When, as we were setting up the Vet Center program, we put together focus groups to help address issues specific to various groups of vets: women, African American, Hispanic, Asian, Native American, physically disabled, etc. That was in 1980, when this photo of the National Advisory Women Veteran Committee was taken. The Florida Times-Union: Agencies see urgent needs for homeless female Vets; paperwork bogs down the process, former high school queen lived in car. At first it was comfortable living out of a Chevy Equinox. Rannay Robinson moved bags filled with belongings so they blocked the windows and reclined her seats so she could sprawl out a little. The 22-year-old college student and inactive member of the U.S. Army Reserve stands just 5-foot-2, so her sport-utility vehicle provided enough shelter for someone who had nowhere else to go. Milwaukee Journal Sentinel: Wisconsin gets reprieve, won’t have funding cut for homeless Veterans program. Wisconsin officials were warned that they could lose funding for their homeless veterans programs if they didn’t restructure them. But they continued to operate them as they had been — only to see their support cut. The state learned this summer that it would lose nearly $1 million in annual federal funding used to run the program. Pittsburgh Post-Gazette: The GI Bill’s wisdom: Congress’ unanimous support reflects the nation. This summer, the Rethink Vets program launched by The Heinz Endowments has been encouraging employers to consider hiring more veterans. The advertising campaign — “Don’t just call veterans heroes. 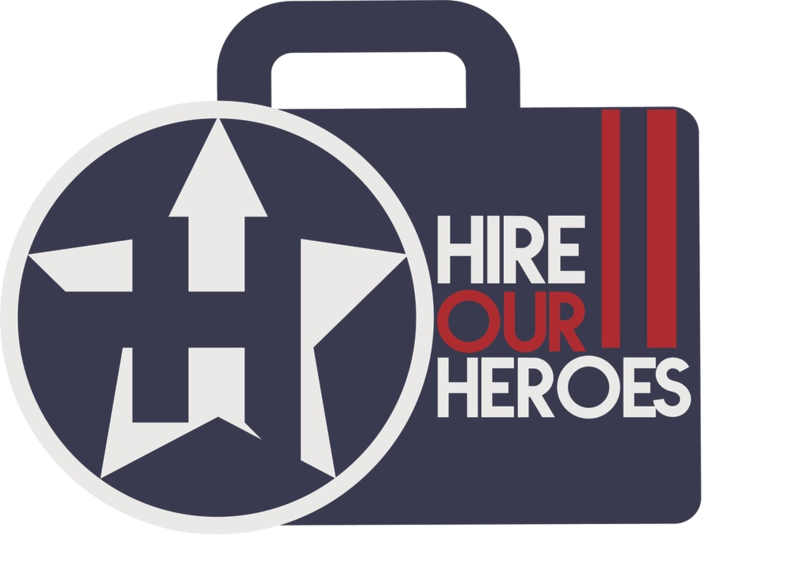 Call them for an interview” and other similar messages — also worked to influence the public perception of veterans and underscore their readiness to join the workforce. Newsday: Veterans groups, educators on hail expansion of GI Bill. An expansion of the GI Bill approved by Congress last week is being hailed by veterans and college administrators alike as boon to the fortunes of ex-military personnel hoping to reshape their lives with academic degrees. Atlanta Journal-Constitution: Wells Fargo pays $108 million on fraud claim by Atlanta whistleblowers. Wells Fargo & Co. has agreed to pay $108 million to the federal government to settle two metro Atlanta whistleblowers’ allegations that the bank charged fraudulent fees on veterans’ home refinancing loans. The settlement award, disclosed Friday by an Atlanta firm representing the whistleblowers, is the largest so far to result from the 11-year-old lawsuit. Reuters: Wells Fargo to pay US $108 million over Veteran’ loans. Wells Fargo & Co (WFC.N) will pay the U.S. government $108 million to settle a whistleblower lawsuit claiming it charged military veterans hidden fees to refinance their mortgages, and concealed the fees when applying for federal loan guarantees. The Washington Times (AP): VA Medical Center plans for future national history center. A Department of Veterans Affairs medical center in Ohio is moving forward with a plan to renovate a warehouse for a future history center. The Dayton Daily News reports (http://bit.ly/2uoBFam ) the Dayton VA Medical Center will use the warehouse to store more items and create space for a future National VA History Center. Military Times: Commentary: Want to make a real difference for struggling Vets? Ensure access to legal aid. As a legal aid lawyer, I work with veterans every single day. I see them struggle to get benefits they have earned through service to their country. I see their court battles to keep their homes and livelihoods. As a veteran myself, I’m deeply saddened to see how often the scales of justice are tipped against them. The Washington Times (AP): Georgia law school starting legal clinic for Veterans. A Georgia university’s law school is creating a legal clinic focused on military veterans. Officials at the University of Georgia School of Law say the clinic is funded by a donation from alumnus James Butler. According to a school statement, Butler wanted to honor his father, who was a fighter pilot in the U.S. Navy. Military Times The road to Reno: American Legion riders prep for annual Legacy Run. The “Loneliest Road in America” is about to get some company — for a good cause. Task and Purpose This Marine Corps Comic Strip Artist From the 1920s Might Be the Original Terminal Lance. Some things never change, and in the Marine Corps, an institution where upholding tradition is the order of the day, this is doubly true. I’m not talking about eagles, globes, and anchors, immaculate uniforms, or having a high-and-tight, no, I mean the real traditions: the never-ending grunts versus pogs dispute, service rivalries, drunken shenanigans on leave or in the barracks. These staples of the Corps aren’t new, and they’ve provided ample material to enlisted Marines-turned-biting-satirists for nearly a century.